Editor's Note June 14th: The User 1/Dynamic setting on the BenQ W1100 produces more lumens than the regular Dynamic preset. We have edited the maximum lumen output rankings in this shootout accordingly and apologize for the error. After many hours of viewing, the subtle (and not-so-subtle) differences between these projectors become apparent. Depending on what type of set up you want, one of them is sure to be right for you. They are each better for different uses. If you want to watch sports events with some ambient light, high brightness will be important for you. If you want to watch Blu-ray movies in the dark, you will probably want to give up some brightness in order to get a more refined picture. Lens shift and long zoom range may or may not be relevant to you depending on how you intend to install your projector, and what you intend to do with it. Since each buyer will have a different set of criteria that is important to him or her, we've ranked each model based on how it compares to the competition in a number of different categories. We hope this will help you find the projector that's right for you. Laying everything else aside, which projector has the best high-definition image available? The Mitsubishi HC4000 comes out on top thanks to its low noise, spot-on color, and excellent contrast. Videophiles will love its smooth, film-like picture. In a very close second place is the BenQ W1200, which is much brighter than the HC4000, but not quite as refined in ultimate picture quality. It has a bright, vibrant, dynamic image that will appeal to many, especially those whose viewing rooms have some ambient light. The Epson Home Cinema 8350 rounds out the top three, which picture quality closely rivaling the HC4000 and W1200. These three projectors represent an elite group among the eight under review, offering image quality a cut above the others. They represent the best of the best as far as HD picture quality is concerned under $1500. The Optoma HD20, which is likewise a great performer, is the best option for those trying to keep their budget under $1000. To vary things up a bit, we fed these projectors a "worst-case scenario": a 480i DVD movie over Component. The Mitsubishi HC4000 distinguished itself yet again, but this time the BenQ W1200 did not do quite as well. The Epson Home Cinema 8350 and Optoma HD20 showed the best, along with the HC4000, thanks to good noise reduction and solid contrast. Once these models were calibrated for optimum video quality, the BenQ W1100 and W1200 showed maximum color accuracy, though the differences between them and the Mitsubishi HC4000 or Epson Home Cinema 8350 are minuscule and detectable only by a color meter. Out of the box, and prior to calibration, the Mitsubishi HC4000 took top honors while the two BenQ models needed some fine tuning. We present two separate rankings, one based on out of the box color, and the other based on best color after calibration. Some folks looking for their first projector want something that can be used in the living room as well as the theater, or simply don't want to dedicate the space for a completely dark room. Some might just want the largest screen possible. For these purposes, light output is key. The Viewsonic Pro8200 is the brightest of the eight in its video optimized mode, while the BenQ W1200 and Acer H7531D finish second and third. Bear in mind that this is video optimized lumen output; maximum lumen output is not considered in this ranking. Also keep in mind that more lumens are not necessarily better, and that putting a bright projector on a small screen can produce eye strain. Finally, differences of less than 20% are often not visible to the human eye, so (for example) the Viewsonic Pro8200 and BenQ W1200 probably look equally bright in actual use. Sometimes you just need to blast an image onto the wall, and things like contrast and color accuracy become less important. In these circumstances, what is important is maximum light output. While the projectors below are ranked numerically, the Epson Home Cinema 8350 deserves special mention for excellent color accuracy in its Dynamic mode, a feat which no other projector in the shootout can match. In this category, projectors are not ranked individually; there are so many similarities that to do so would be arbitrary and nigh impossible. Instead, projectors are separated into three groups. 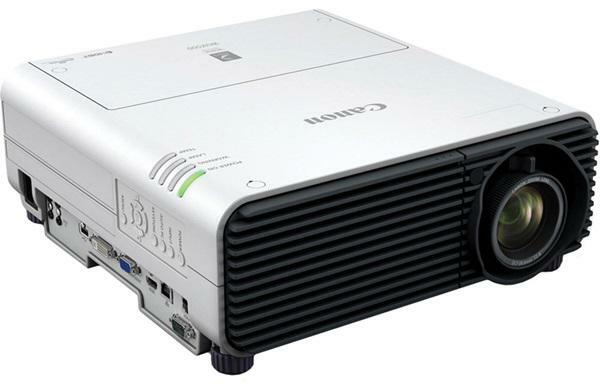 In a class by itself, the Epson Home Cinema 8350 with its 2.1:1 zoom range and both horizontal and vertical lens shift. The second group consists of projectors with 1.5:1 zoom lenses and no lens shift. These are the BenQ W1100 and W1200, Mitsubishi HC4000, and ViewsonicPro8200. The third group includes projectors with 1.2:1 zoom lenses and no lens shift. These are the Acer H7531D, Optoma HD20, and Vivitek H1081. Mitsubishi HC4000 - This bare-bones projector keeps things brutally simple, even including a single HDMI port where every other model in the shootout has at least two. But the picture has an undeniable elegance that makes the HC4000 look more expensive than it is. Epson Home Cinema 8350 - The Home Cinema 8350 has a beautiful, film-like image with plenty of dynamic range, so much so that it can compete with DLP projectors like Mitsubishi's HC4000. It's huge advantage over the HC4000 is its long zoom and extensive lens shift that make it uniquely easy to install compared to every other model in this shoot-out. Optoma HD20 - The surprise of the shootout is how well 2009's Optoma HD20 has held up. The first 1080p projector to come out under $1000, it nonetheless does not fall far short of the Mitsubishi's HC4000, its deficit being its somewhat lower contrast and less deep black level. But it outperforms the other 1080p models under $1000, and for its price it is an outstanding value. BenQ W1200 - The W1200 is an excellent projector that rivals the HC4000 and Home Cinema 8350 in terms of image quality while providing more than double the video-optimized lumens and a frame interpolation system. At this time, it is priced at $1499 while the Epson 8350 and Mitsubishi HC4000 are priced at $1299. The extra lumens are immeasurably helpful if you have a very large screen of 135" diagonal or greater. While the frame interpolation system has some artifacts which make it unsuitable for use with film content, it has great benefit to live performance, broadcast television, and other 30fps video material. If either of these factors are important to you, then the W1200 has additional value commensurate with its higher price. Click through to the next page to see our assessments of individual models and their strengths and weaknesses. Nice comparison review. I was wondering how these projectors compare to the Sanyo Z700/800 1080p machine? have things really moved on that much in terms of black levels etc in this entry level segment? or would the Sanyo still put up a decent fight? The Mitsubishi HC4000 will be the replacement for my HC1500 in my dedicated, light controlled theater. I think there would have to be a remarkable step up in performance to a better projector, for me to spend more than the Mitsu's $1100-$1200 street price. Which I don't think will be the case. Thanks for the shootout guys. You are an invaluable resource. Thanks a lot for this shootout. I was looking foward to it. Just two questions that were not answered. Is the fan noise noticeable on any of those models? I want to replace an ageing InFocus that is as loud as a lawnmower and since my room is a litle small, I can't really hide the sound made by the projector. Same thing with the heat output. I had to install AC to counter the heat from the projector and the computer, something I won't be able to do in the new room. I used to have a Panasonic AE2000 a few years back and love it, I'm now wondering how these current sub $1500 projectors compare? P.S. I'm currently looking at the Panny Ae4000 and Epson 8700UB but don't really know how significant this $2000 group is vs. sub $1500 group? How about that HD20, spotting those boys several years, a few bills, and still hanging on? Some have complained about the Epson with purple crush developing and one reviewer noted a blue crush in dark scene corners. So I am wary. Have not heard any problems about Mits. Shocker is original review here of Mits put up against $2000 Epson and wins in picture quality. Epson has better features and wins in dark scenes due to UB and free bulb til mid 2012 but still effectively $500 more. Course Mits is bare bones. I wonder how far apart the HC4000 and AE4000 are on black level. I'm looking to upgrade from my AE900 (5,200 hours, 3 lamp changes, 6 cleanings and replaced the auto-iris once) and going DLP would be fine if the black level is better than the 900, otherwise it’s going to be the AE at $800.00 higher expense. Does anyone have experience with the HC against the AE4000 or the Epson 8700UB auto-irises on rolling credits against a black screen for instance? Interested in the comments that are largely questions. Are these answered anywhere or are they rhetorical with no expectation of replies? Which one is better BenQ W1100 or Optoma HD20 for a home theatre use? What is the best deal going on at the moment in Australia ? Thanks for the review, I currently have a Elite Tension Electric 135"Diag. 16:9 Screen. My question is that what projector would be best? I am debating on Mitsubishi HC4000 vs Benq W1100.